“Call him butter because he’s on a roll!” Yep, you all know who it is. Its Stuart Scott. He’s always finding ways to entertain his audience with sports even if it means putting together a catch phrase. 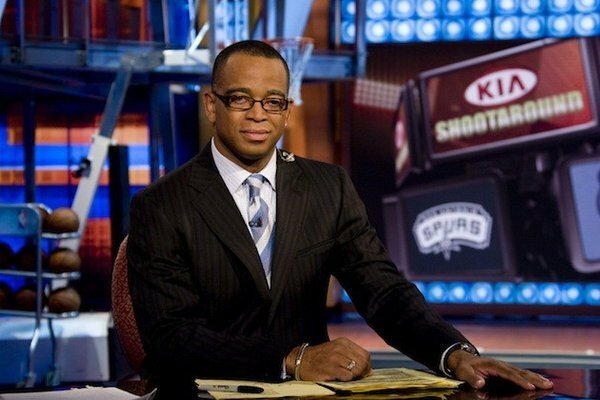 I don’t know Scott personally, but Stuart Scott is my favorite sports anchor of all of the ones that I watch. I enjoyed listening to Stuart because he was just being Stuart. Even though he wore a tie and a suit, he never changed who he was, and brought that swag to news reporting. Stuart Scott was born in Chicago,Illinois. Although Scott delivered news, he made it to where the inner city kids could relate to him, and other individuals across the world. One of my favorite interviews that I enjoyed listening to was Stuart Scott interviewing Kawhi Leonard after the San Antonio Spurs defeated the Miami Heat to win the 2014 Finals. Scott is always trying to make sure the person he’s interviewing is comfortable, able to answer the questions and having a great time as well. It was good to see that Kawhi was enjoying his company and shared a laugh with Stuart. Cancer didn’t defeat Stuart Scott. Scott was always motivated, he showed supreme self-confidence and wanted to be the best at what he was doing. Not only that, he showed the world why life is worth living. This is how I will remember Stuart Scott. Rest in Peace Brother.